Wilpena Pound is a magnificent natural ampitheatre and the centrepiece of the Flinders Ranges National Park. 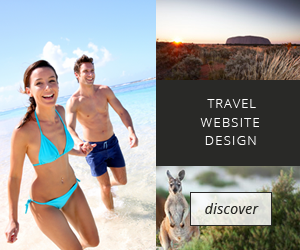 It’s rich in wildlife including emus, kangaroos and euros. Here, you’ll find a great range of accommodation, 4WD tours, scenic flights and a general store at the award-winning Wilpena Pound Resort, which is also home to the new Wilpena Pound Visitor and Information Centre. The Brachina Gorge Geological Trail traces the geological history of the area. Located off the Wilpena-Blinman road, the trail features a series of interpretive maps. From the air, Wilpena Pound resembles a lost world – the sort of place where you can imagine dinosaurs still stalking. This enormous, crater-shaped, natural amphitheatre, 11 kilometres by eight kilometres in size, lies at the heart of South Australia’s Flinders Ranges. Wilpena’s rim consists of the stumps of mountains that were once as high as the Himalayas and have been eroded down over hundreds of millions of years. Geology and views are sensational – particularly from St Mary Peak. The Flinders Ranges are full of fossils and wildlife, and have two national parks. Wilpena Pound itself is favoured by kangaroos and euros (small wallaby-like marsupials) and 97 different types of bird, flitting over sprays of bright yellow wattle flowers and the brilliant reds and pinks of Sturt’s desert pea. Wilpena Pound Resort won South Australia’s official “major tourist attraction” award in 1999 and 2000. As well as accommodation, it offers a range of four-wheel drive trips and tours in light aircraft. Surprises in this part of the world include Opera in the Outback. Dame Kiri Te Kanawa’s voice echoed across the ancient landscapes of Yalkarinha Gorge in 1997, when she performed with Aboriginal people for the first time. Another Flinders Ranges attraction is Arkaroola Wildlife Sanctuary, one of the best places to view southern hemisphere stars at night. A computer-driven astronomical observatory offers an expert guided tour of the universe each night. Other hightlights include the new eco-tents at Rawnsley Park Station, Aboriginal cultural tours at Iga Warta and flights over Wilpena Pound from Wilpena Pound Resort.